Roger Federer returns from a eight-week layoff following left knee surgery at the Miami Open with low expectations and uncertainty over how his repaired meniscus will perform. The 34-year-old Swiss star, winner of a record 17 Grand Slam singles titles, spent 12 days on crutches and has had only nine full training days ahead of his opener against familiar Argentine foe Juan Martin Del Potro. Federer will take a 15-5 ATP Head to Head record into his match with del Potro in their first meeting since 2013. Federer won the first six meetings in their rivalry before the Argentine claimed his career-changing US Open final win over the Swiss in 2009. "Expectations are really low, which is nice for a change. I didn't expect myself to be back here quite honestly after the surgery," Federer said Thursday. "I'm excited. I'm curious how it's going to react, is it going to be different day-to-day, how is it going to feel after the match and so forth. "I like Juan Martin. We've had good matches over the years, Paris, five sets twice, US Open obviously. It's nice to see him back. I haven't seen him play at all since he's been back, so I'm not quite sure what to expect, even though my coach went to see his match yesterday. At the end I'm going to focus on my own game tomorrow... managing my problems that I've had the last few months. Just also enjoy it out there. "We're both in a similar situation. His injury was much, much greater. That's why I'm really pleased for him that he was able to find a way back onto the tour." 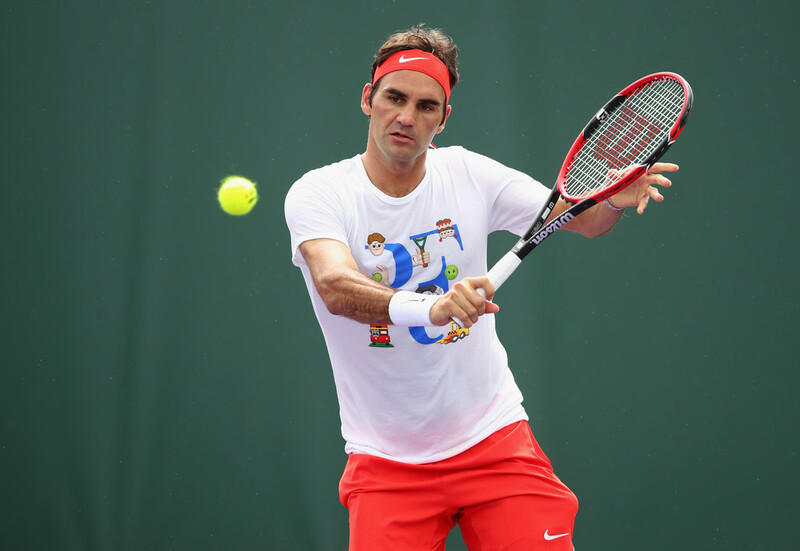 Federer made it clear he would take no chances if something feels wrong during a match. "If I feel something in the knee I won't play. Simple as that," he said. Del Potro said of facing Federer: "I’m going to try to play my best tennis against Roger. We are both coming off injuries but I think it will be a really good match and will have fun on the court." Federer and del Potro are scheduled during the day session Friday, third match on centre court.